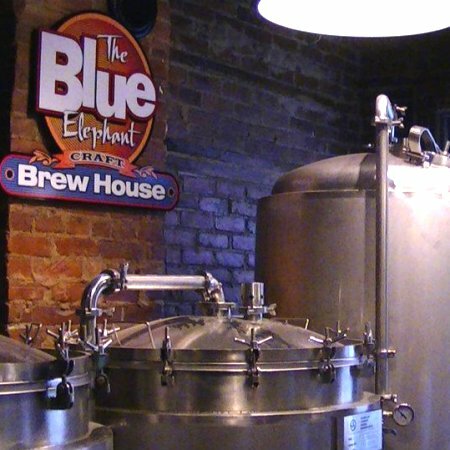 SIMCOE, ON – The Blue Elephant, a restaurant in Ontario’s Norfolk County specializing in casual Thai and pub fare, has announced the launch of a on-site nanobrewery. According to owner Heather Pond Manorome, the brewing system was installed over the summer, and the first brew – a light American-style lager – is due to go on tap this month. The lager will soon be joined by a pale ale, with both beers planned to be available year-round, accompanied by monthly and seasonal beers on a rotating basis. Pond Manorome also noted that in keeping with the community-oriented nature of the pub, the names of the beers will be chosen by customers, who will be given a list of suggested names to vote on. And as noted in an article published in the Simcoe Reformer last May, local ingredients will be used as often as possible in the beers, just as they are in the food served at the restaurant.